In honor of Veteran’s Day this week, the Phillips celebrates military musicians serving in the Army Air Force, Navy, and Marine Corps Bands. 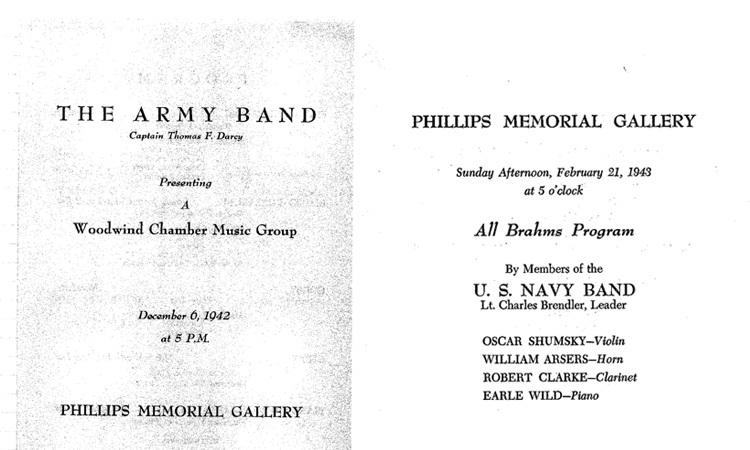 Nearly 100 performances were held in the Phillips’s Music Room between 1939 and 1945, making Sunday Concerts the longest continually-running series in Washington, DC. We are proud to boast several Phillips Camerata musicians who presently serve in the US Marine Corps Band, including violinist Karen Johnson and cellist Charlie Powers. On our 75th season anniversary, we honor the legacy of Armed Services musicians in two concerts during our 2015/2016 season, featuring Navy Sea Chanters and the USMCB string ensemble. 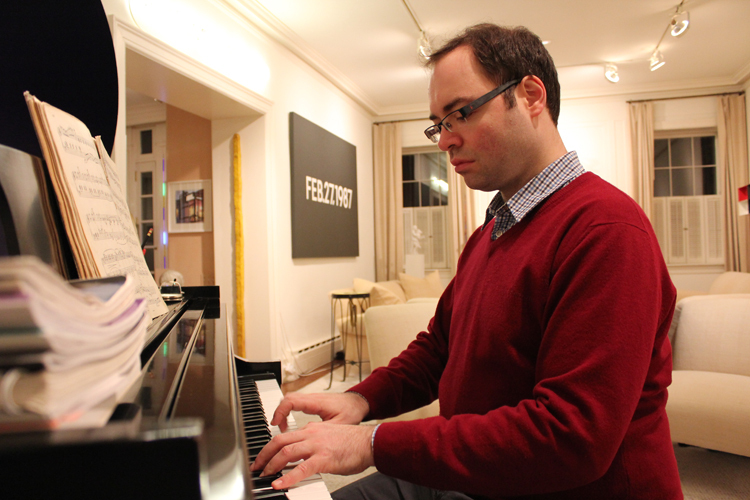 Saturday evening I had the pleasure of photographing Russian pianist Alexander Melnikov practicing in the beautiful home of Aaron and Barbara Levine. They graciously offered their home as a practice location to Mr. Melnikov, who requested to rehearse late into the evening. His sense of humor and wit after a day of traveling from Kansas City to Washington, D.C., on top of jetlag, was a delight. Mr. Melnikov told me how charmed he was by Washington, after spending only a number of hours in the city—the majority of which were spent rehearsing. On Sunday he gave a concert at the Phillips with a program including Schumann, Scriabin, and Prokofiev. Israeli pianist Roman Rabinovich has been praised by critics for his “vivacity and virtuosity” and his “impeccable clarity of execution.” Rabinovich has performed throughout the United States, Europe, and Israel. He has also gained an unlikely notoriety for his iPad drawings created with the Paint Joy app. In an interview with jspace.com, Roman was asked to describe the creative journey that has brought him to where he is in his career today. 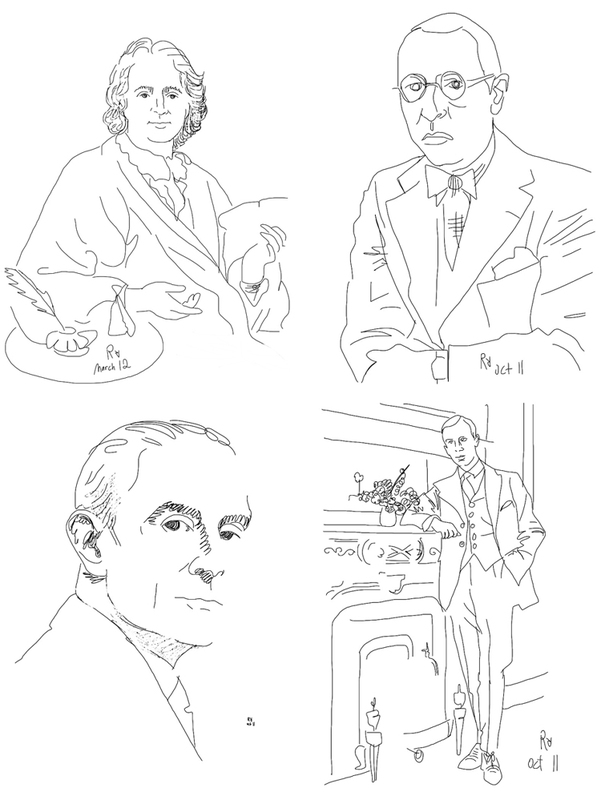 Try to guess–by his drawings alone!–which composers works Roman performed at his Phillips recital last Sunday, March 25. Drawings created by Roman Rabinovich using the iPad and the Paint Joy app. Illustrations courtesy of the artist.